And they’re off! The Cambridges are on their way to Sydney, Australia, Kate wearing separates from Rebecca Taylor. 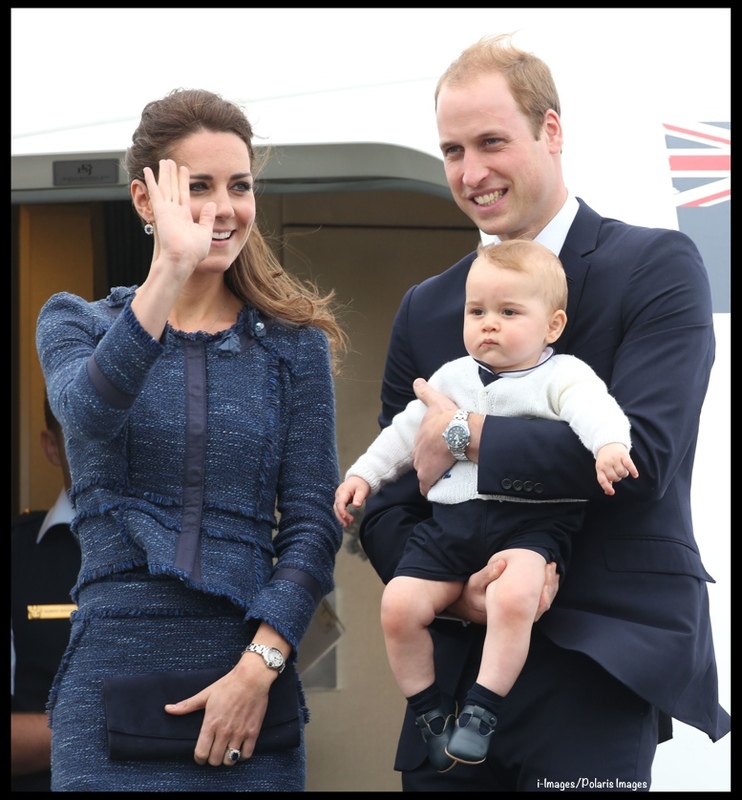 The Royal Tour headed to Christchurch today, on New Zealand’s South Island. 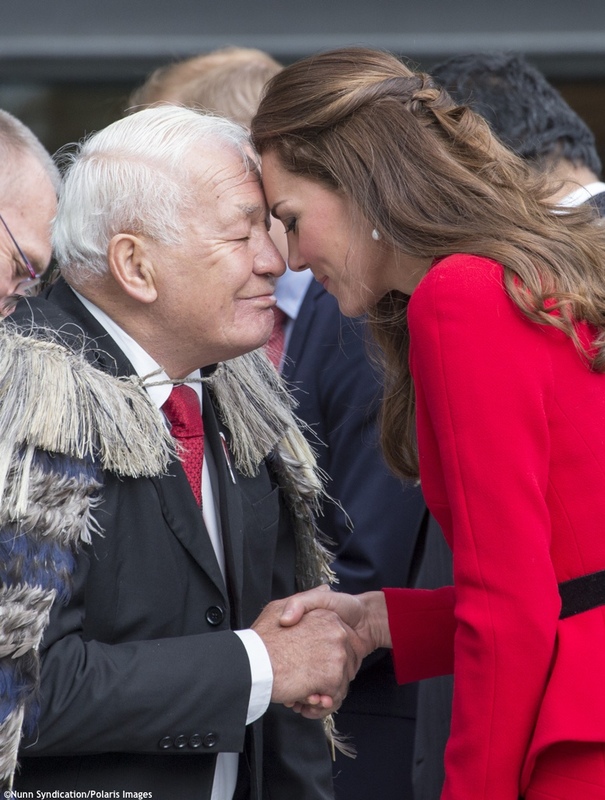 Below, Kate takes part in another Hongi greeeting as she and William are officially welcomed. William and Kate had a busy schedule today, beginning with Palm Sunday services in Dunedin, New Zealand. They were welcomed by representatives of Ngai Tahu, the primary Māori Iwi, or tribe, of South Island. For a day of engagements in Hamilton, New Zealand, Kate wore a green Erdem coat and Suzannah dress. 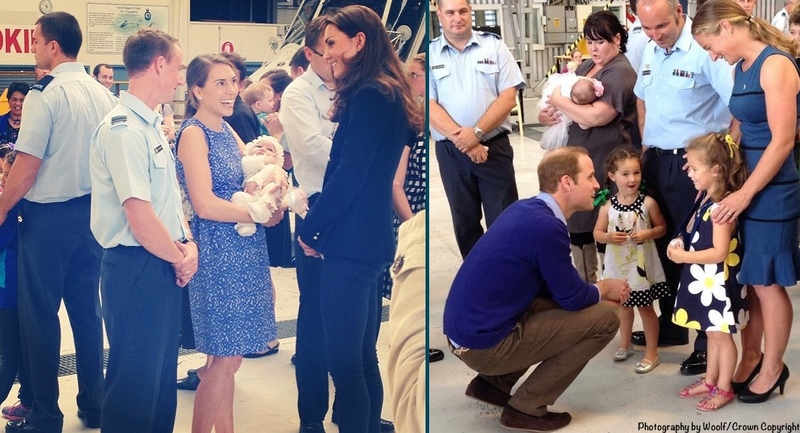 Kate and William spent much of the day in Auckland, starting with a stop at Whenuapai Air Force Base. 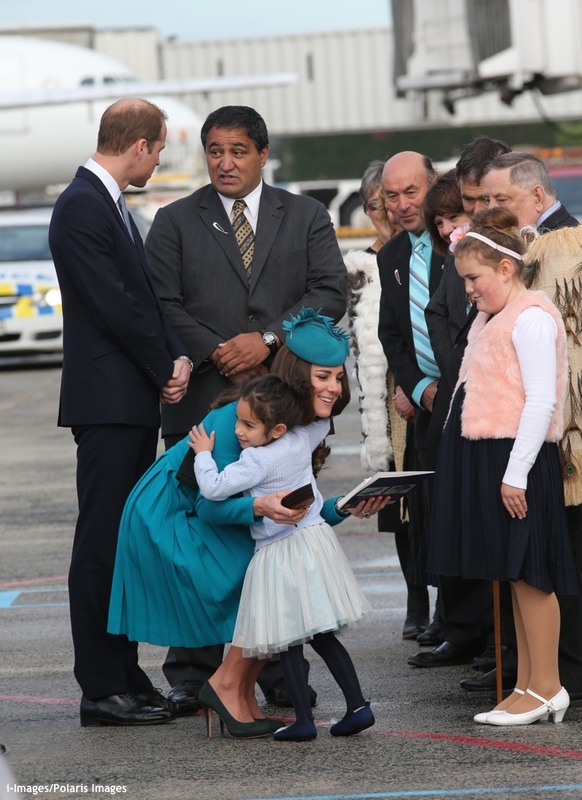 The RNZAF (Royal New Zealand Air Force) plane carrying the couple from Wellington to Auckland landed at the Base, where the Duke and Duchess spent time chatting with Base personnel and their families. Then it was time to head over to the Harbour, crowds lined the streets on the route from the Base to the Harbour.